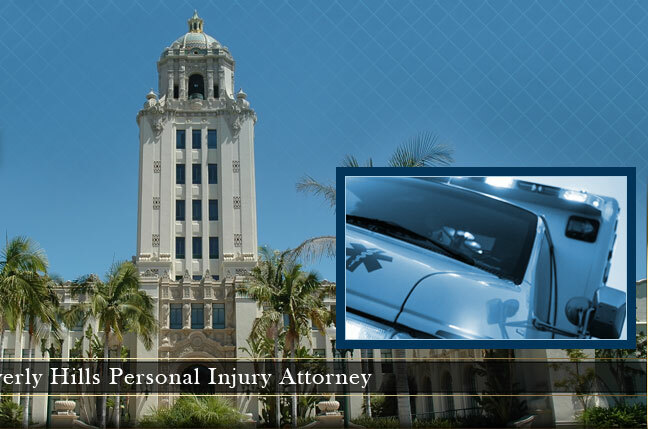 Do you know of an accident attorney Beverly Hills? During the holidays, more people are on the road all at once. It can be dangerous to drive during these times because along with the increase in traffic comes an increase in the probability that you may get in an auto accident. In an interesting article about the most dangerous U.S. holidays, Forbes discussed the dangers of holiday driving. Many people think that the most dangerous driving conditions are on New Year’s Day. However, the article indicated that Thanksgiving was the most dangerous day to drive last year. During holidays like Thanksgiving, there are 50% more drivers on the road than usual. 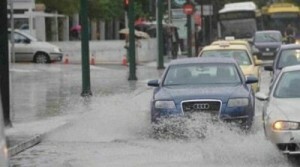 The change in weather can also contribute to car accidents. Also, alcohol consumption goes up during the holidays which can cause impairment in drivers. More vehicles on the road create an increase in the potential that you may get in an automobile accident. An accident lawyer Beverly Hills can attest to the fact that more people seek the help of an experienced accident attorney after a major holiday. Why wait until you are involved in an accident to get to know an accident lawyer? It is wise to begin research and choose an accident attorney Beverly Hills. You do not have to necessarily meet with the attorney, but it can be helpful to choose someone with an experienced background and keep their contact information in your cell phone and at your home desk. Auto collisions can cause serious damage to our cars and our bank accounts. It can be a long, stressful process to gain help and guidance during the ordeal. It is important to stay involved in the process and actively work to have your story heard. Whether a person is involved in an auto or motorcycle accident, they can feel very uneasy about what steps to take next. An accident attorney Beverly Hills can advocate on your behalf. Also, they can help determine who is at fault and whether you can gain the financial support you need to get your life back to normal. The holidays are a stressful time. Do not wait until an accident happens. 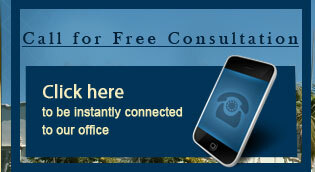 Contact an accident lawyer Beverly Hills that you can feel comfortable calling in a time of need. This entry was posted in Auto Accidents and tagged accident attorney, accident attorney beverly hills, accident lawyer, accident lawyer beverly hills, car accident lawyer on September 30, 2014 by Barry Kaye. Even here in Beverly Hills, motorcycle accident lawyers are always in demand. This is because riding a motorcycle is a dangerous proposition, and accidents inevitably happen. But just because you ride a bike doesn’t mean you should be the victim of another driver’s negligence. When a car and a motorcycle are involved in an accident, especially near Beverly Hills, attorney Barry P. Kaye can help determine who is at fault. This is even true in difficult cases, such as those where the motorcyclist was lane-splitting. The Los Angeles Times recently covered a story about the legality of lane-splitting. Officially, the practice is neither illegal nor legal. While professional associations like the American Motorcycle Association advocate for the practice – they say it takes riders out of the lanes where most motorcycle accidents occur – the California Highway Patrol is actively distancing itself from the practice. In fact, they took down a list of safety tips for lane-splitting from their website two weeks ago. Lane-splitting is a sensitive area for law enforcement and other government agencies to address. This is because, should they be seen as endorsing the practice and an accident occurs, they could potentially open themselves up to lawsuits. While it might be difficult to make the case for a motorcycle accident attorney, Beverly Hills has seen odder lawsuits in the past. Most of the time, even in cases of lane-splitting, establishing fault in a motorcycle accident comes down to the driver and the rider. Most of the time, the rider has the right of way and the driver is at fault, even if the rider was lane-splitting. More importantly, an endorsement of lane-splitting is a tenuous case for establishing fault. If a municipality is found liable in a motorcycle accident, it is usually for failing to maintain the roads properly. Maybe the CHP just wanted to avoid a potential PR problem. This entry was posted in Auto Accidents on July 23, 2014 by Barry Kaye. Most people in Southern California love this time of year. With the sun shining, barbeques, drinks flowing and fireworks lighting up the night there are hundreds of injuries that are likely to turn your holiday weekend into a nightmare. This July fourth take the steps you need to avoid personal injury and damages that may lead to trial. 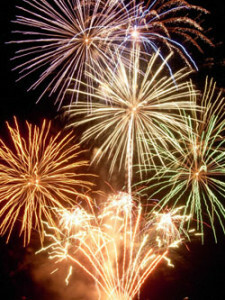 Fireworks are the main attraction of many celebrations around the Los Angeles County area. Although most people realize they are illegal in our community, they still pose a threat to injury in the loss of fingers, disfigurement, blindness and death in rare instances. According to the Centers of Disease Control and Prevention, more than two-thirds of all fireworks injuries occur on Independence Day. In 2011, the CDC reported about 7,000 people were treated for firework related injuries, which occur the highest among children ages 10-14 years old. Read instructions carefully before lighting fireworks. Wear proper clothing to prevent burns on the feet, arms, eyes and legs (ear protection if necessary). Keep fireworks away from children under 5 years old. Do not light fireworks in crowded areas and do not throw towards people, objects or property. Do not purchase illegal fireworks. Fourth of July is a holiday weekend this year, which means alcoholic beverages are bound to be present at family gatherings. Law enforcement is likely to increase throughout LA County since there was a 43 percent increase in arrests last year for driving impaired. Approximately 490 drivers were arrested in 2013 for suspicion of DUI, while only 340 were reported the year before. Always designate a driver or contact a local cab driver if you consume alcohol to avoid the risk of harm to you or loved ones. Drunk drivers are both criminally and civilly responsible for accidents which allow compensation for medical expenses and other damages that occur in victims. Pyrotechnics are not permitted in Beverly Hills, but that does not stop others in LA County from taking them to our community, which increases the risk of property damage. Fireworks can travel a great distance after being set off. A lawsuit concerning firework related property damage usually involves claims for trespassing after a firework item has entered or caused damage to a person’s property. In cases involving fireworks entering a person’s property without permission is liable for trespassing and found negligent. Not only are fireworks dangerous if handled without care, sometimes they are improperly made and defective – which can lead to serious personal injuries and property damage. With these helpful tips you can celebrate the Fourth of July safely and responsibly that will help reduce the danger of personal injuries and damages. If you or a loved one becomes injured on Independence Day then you may be entitled to compensation after an accident. A great personal injury attorney will help guide you through the steps of taking legal action from someone’s negligence. This entry was posted in Personal Injury and tagged Personal Injury, personal injury attorney, Personal Injury Beverly Hills on June 27, 2014 by Barry Kaye. 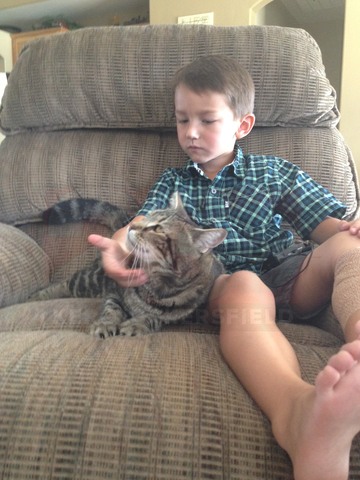 The Huffington Post (and countless other news groups) has been featuring an incredible story of Jeremy, a four year old boy living in Bakersfield, CA, who was bitten by a dog, saved by his cat, rescued by his mother—and the whole thing was caught on home surveillance cameras. While not everyone has a super-cat and is as lucky as Jeremy, who was fine after being taken to the ER, it’s important to know the proper steps to take if you or a loved one has suffered a dog bite. Unfortunately, the facts surrounding dog attacks are unfavorable. In most recorded dog attacks, the animal is actually connected in some way to the family. Even worse, most attacks happen to young children under the age of ten. This means that there is only so much you can do to prevent an attack. The fact is sometimes animals just snap, even well-trained, super-loved pets. However, making sure your dog is healthy, exercised, disciplined, and properly contained greatly minimizes the threat they pose to your family. WebMD suggests treating any bite at home ASAP. This means applying basic care to your injury with clean, soapy water, disinfectant, etc. Keep bleeding wounds elevated and see a doctor immediately. Of course, if the bite is really bad, you’ll need to go to the ER immediately. Call a lawyer and go to the doctor. You’ll want to make sure you’re legally protected (especially if you live in/near L.A.) in addition to being medically treated. At the doctor’s office they will want to know as much information about the dog as possible, such as the breed, approximate age, any physical descriptors, and of course, if you can get it, the health history of the animal, such as whether or not it has had rabies, vaccinations, etc. A good lawyer will also be able to guide you through this process. This entry was posted in dog bites on May 15, 2014 by Barry Kaye. When a product fails and causes you harm, or monetary loss what are you supposed to do? If you’ve ever been the victim of a faulty product, then you know what a terrible situation this can be. Further complicating this matter, is the public misperception that many such cases are frivolous (i.e., like the McDonald’s Hot Coffee case). After learning the true facts however, it becomes abundantly clear that not only are they not frivolous, they are more than justified. If you are unable to prove any of the above elements, then you might still consider meeting with a lawyer to see what can be done, but know that road ahead will be difficult. You have to know that companies are prepared for defective product liability claims, so you need to be equally prepared. The Cornell University Law School points out that what you’re trying to do is prove that a product is defective. A product can be found to be defective in three areas: design, manufacturing, and marketing. Feeling overwhelmed? That’s okay. This is just the beginning, but you can rest easy once you’ve found a lawyer you can trust to make sure your needs are met. This entry was posted in Product Liability on April 23, 2014 by Barry Kaye. In California, your employer must have workman’s compensation. There are no exceptions. The California Department of Industrial Affairs even mandates that someone who is the sole owner and employee of their business must have a workman’s compensation policy (don’t worry though, you can typically opt out of this if you don’t intend to hire employees). In fact, every state mandates that businesses carry some form of workman’s compensation, except for Texas. So, it’s strange then, considering that this policy is almost a national procedure, that there are so many issues surrounding getting covered by your employer. To begin, you have to know what the law says when it comes to your role in staying safe and protected. Workman’s comp began as a way of mitigating expenses from on-site accidents incurred by employees. The legal fees were a nightmare; so setting up a sort of insurance pool with a no-fault policy allows both parties, the employer and the employee, to walk away paying as little as possible. So, while workman’s comp may be a hassle to navigate, remember that it’s there for your protection no matter which side of the issue you may find yourself on. One of the problems associated with getting your injuries covered by your employer is that each state has a different set of standards. So, what constitutes as being covered varies widely. The basic idea is that a basic algorithm is used to determine the sum someone is entitled to in the event of an accident. This formula is determined by assessing the risk associated with a particular position. From there, premiums and deductibles are found based on pay, policy, etc. It doesn’t take long for this to become a very confusing issue. The important thing to remember is that you’re always entitled to something if you’re injured on the job. On the other side, you’re always required to provide for your employees if they should happen to be involved in an accident. The best thing you can do is to have the number of an excellent accident lawyer on hand. You don’t want to sustain an accident and not know what rights you have available. Also be sure to take some time to read up on the laws in your state to help keep your employer, or employee, accountable. Often times a little bit of knowledge staves off a big misunderstanding. This entry was posted in Worker's Compensation on March 18, 2014 by Barry Kaye. Even the safest drivers out there can find themselves victim to the negligence and recklessness of those they share the road with. Today, more and more cases of intoxication behind the wheel are becoming a general cause for concern for even the safest driver. Unfortunately, as a recent New York Times article suggests, drivers are not the only ones in danger on the road. Unsuspecting pedestrians can also be caught in crosshairs of reckless driving. Despite these dangers, transportation is a necessity for any natives of the Los Angeles area. Being a safe driver and an attentive pedestrian can definitely improve the chances of avoiding accidents; however, there are times when car accidents cannot be prevented, resulting in pain, suffering, disability, or even loss of life. In the event you or a loved one are victims of such auto accidents, regardless of injuries and damages, consulting a professional auto accident attorney is the best way to ensure that your rights will be protected and that adequate compensation will be sought on your behalf. Here at Kaye Law Offices we understand the extreme emotional and physical stress that you and your family will experience after an auto accident that results in serious personal injuries. Having one of our auto accident attorneys on your side can help alleviate some of the stress you will undergo and ensure that you receive the best possible legal assistance. After an accident you may incur expensive medical bills, experience physical pain that requires long periods of physical therapy or rehabilitation, or endure emotional suffering and loss of income that must be handled appropriately. If you or a loved one is injured in an auto accident, it is important to remember that the physical and mental health of both the victim and family should be the number one priority, but also that you do not have to go through this ordeal alone. Consulting with one of our personal injury lawyers here at Kaye Law Offices can provide you with exactly the personal and legal support you need. Remember that in the event of any accident a personal injury lawyer can help you get the compensation you deserve. Regardless of whether you are a driver on the road or a pedestrian, whenever you need assistance taking legal action or pursuing accident claims we are here to help. 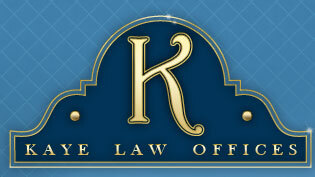 Contact Kaye Law Offices at any time to schedule a consultation and let us work to ensure you are well taken care of. This entry was posted in Auto Accidents on February 22, 2014 by Barry Kaye. Every dog has the potential to bite but most dogs do not just bite out of the blue. They have reasons why they might bite a person. Dogs may bite to protect their owner’s property or their own possession such as food and water, or their puppies. Dogs bite when provoked or frightened, or when sick or injured. Dog bites can cause more than just scratches or teeth marks on your skin. Dog are known to carry rabies which can be fatal if contracted by humans. When attacked by a dog, you have every right to consult with a dog bite attorney. Even if the injury is minor, it might keep you from work and that means loss of income. Get in touch with the Beverly Hills dog bite attorneys at Kaye Law Offices. Their dog bite attorneys can help you get the compensation you deserve. When you consult a dog bite attorney, you have to give them all the information needed to assess your case. Information such as the dog being on a leash or just roaming freely is important to your lawyers. You have to tell them if you have done anything to provoke the dog or you have noticed or heard the owner give a command, or encourage the dog to attack. Even if it has been established that the dog owner has not been negligent, dog bite attorneys can still help you with your personal injury claim against the dog’s owner. Filing your claim may unearth another issue, that of the dog owner’s neglect of the animal. The dog may be a victim of animal cruelty. Dogs that are starved, or beaten can become violent. Dealing with the pet owners yourself may put you in a difficult situation because there are pet owners who are protective of their dogs and may refuse to believe that their beloved dog has attacked you. More difficult if they are abusive pet owners, so why not let the professional handle your case. The Beverly Hills dog bite attorneys at Kaye Law Offices are able to offer you assistance in taking legal action to pursue your dog bite injury claims. A dog bite is a personal injury for which you should be compensated. Dog owners should be held responsible for their dog’s behavior. You should not suffer because of their negligence. Whether it is you or someone you care about who has been attacked by a dog and harmed seriously, you have to take action. A legal action can be a lot easier and faster if you get a good dog bite attorney to get you through all the obstacles that may come your way. The dog bite attorneys at Kaye Law Offices are in the business for so long and are experienced in the legal proceedings concerning dog bite injuries. Contact them for consultation when you or your loved ones are seriously harmed by a dog attack in the Beverly Hills or surrounding areas. This entry was posted in dog bites on January 13, 2014 by Barry Kaye. Although more accidents are involved when riding mass transits, people still opt for this mode of transportation because it is economical and convenient. However, there are times when accidents cannot be prevented, and mass transit accidents may result to lifelong suffering, pain, and disabilities. Regardless of the injuries and damages, consulting an attorney at law is the best way to make sure that your rights will be protected, and just compensation will be sought on your behalf. At Kaye Law Offices, we can provide you with the legal assistance you need if you or your family member is a victim of mass transit accident. Accidents are caused by driver, pilot and captain error, different types of mechanical defects, or simple mistakes made by maintenance teams and ground control. When you travel by plane or bus, an accident can occur as a result of pilot or driver fatigue, poor maintenance, mechanical dysfunction or perhaps due to fortuitous events. These accidents can result to serious injury, long-term suffering, loss of income, or perhaps even death. There can be a scenario of no injuries, but damages and loss of property may have occurred due to the incident. When a loved one is involved, you and other family members may recover from damages that include medical expenses, loss of financial support, loss of love and moral support of your loved one and even funeral and burial expenses. When any these possible scenarios happen, you should consult with a personal injury lawyer here at the Kaye Law Offices. Once you get involved in mass transit accidents, safety should be your number one priority. If you are injured, you may incur expensive medical bills, physical pain, emotional suffering and loss of income that must be handled appropriately. You may suffer from physical and permanent injuries that require long periods of physical therapy or rehabilitation. Depending on the severity of your injuries, you may be unable to go to work. Consider that your best solution aside from seeking medical assistance is legal advice to help you figure out and handle these complex issues. When you consult with the Kaye Law Office, you’ll be assured that we can secure and protect your legal rights and claims. Our legal representatives will secure the compensation you deserve so you can focus on your road to recovery. Remember to see a personal injury lawyer when you wish to get compensation for the resulting injuries and damages from a mass transit accident. If you need assistance in taking legal action in pursuing those claims, get in touch with the Kaye Law Offices and schedule an initial consultation now. This entry was posted in Uncategorized on December 16, 2013 by Barry Kaye. Accidents are inevitable. Though there are precautionary measures that one can take on, accidents may happen especially when you least expect it. Accidents not only leave you injured physically but financially as well. Having an insurance that may cover the expenses incurred by the injury is not enough. In order for you to be unscathed and free from stress, it is recommended for you to have a lawyer dealing with physical injuries such as that of Beverly Hills Injury Lawyer. Nowadays, more and more people are filing complaints involving physical injuries and character assassination. Sometimes, the form of the offender’s abuse may be misconstrued as an accident which is more likely a frame-up rather than a real accident in origin. This is the reason why you should get a legal advisor early on so you know what to do should an accident happen. In line with this, the Kaye Law Offices can provide the services a Personal Injury Lawyer, who can help you in a number of ways. Dealing with insurance in your own hands can be stressful at times as it takes a while for your insurance request or claim to be processed. Spare yourself from the stress it may bring by seeking help from a member of the Kaye Law Offices. Personal Injury lawyers take charge of coordinating with an insurance company concerning the payables due to the other party. In this scenario, the lawyers negotiate with the insurance provider to minimize the costs to be settled or awarded to the other party. Moreover, personal injury lawyers ensure that you get to maximize the benefits of your insurance while reducing the amount of your payables to the other party involved. From bruises to cuts, fractures and other forms of physical injury brought by vehicular accidents or accidental falls, a personal injury lawyer is the best person you can run to in the event of this unforeseen incident. Although law and medicine are two different entities, a lawyer specializing in personal injuries has a strong network which includes a pool of medical doctors or even chiropractors. A personal injury lawyer therefore can refer you to a medical practitioner who can address your medical or surgical concerns. Through the help of a personal injury lawyer, the damage settlement for an accident increases. This can be attributed to two things. One is the lawyer’s vast knowledge in the types of injuries one may incur in different forms of accidents and two, lawyers, particularly personal injury lawyers have a contingency plan where they negotiate the amount of damages to be settled in terms. Thus, you get to receive the right amount of settlement for the damages. This entry was posted in Uncategorized on November 19, 2013 by Barry Kaye.